When it comes to 3D bioprinting, there are a few companies who tend to dominate the news, while others labor more quietly in the background. Back in August, we wrote a feature on some of those lesser-known but significant companies in the bioprinting industry. One of those companies was Cyfuse Biomedical, a Japanese corporation that has developed a novel form of bioprinting known as the Kenzan method. Most existing bioprinting techniques depend on scaffolding, which is solution made from biomaterials such as collagen or hydrogel. The solution is required to hold together the seed cells that will be grown into tissues or organs. With the Kenzan method, no scaffolding is needed. “Kenzan” is Japanese for “needle array,” and an array of needles form the basis of the process. Cyfuse’s Regenova bioprinter works by gathering cell aggregates, or spheroids, onto a series of needles in a pattern predetermined by 3D software. The needles are so close together that the cells they hold will fuse together into solid, firm tissue when placed in a bioreactor. Cyfuse began marketing the Regenova printer not long ago, and now a new partnership with San Diego-based Cell Applications, Inc. will make tissue produced by the Kenzan method available to North American researchers – the first time the Regenova printer will be used outside of Japan. Cell Applications will utilize the Regenova printer to produce tissue for researchers on a pay-for-service basis. The company already offers over 100 types of animal and human primary cells in about 900 configurations, and their custom services program isolates certain types of primary cells upon request. With the Kenzan method, more delicate primary cells can be preserved than in other bioprinting methods, in which cells are frequently damaged. The Kenzan method yields a higher amount of viable cells that maintain the critical properties of their original tissue systems, without any kind of chemical or genetic modification. So far, academic research institutions have been using the Kenzan method to print nerves, blood vessels, and liver-like tissue. The potential future applications of the technique are numerous – pancreatic islets, cardiac muscles, and production of skin, spinal cord, and other types of tissues for drug screening. And, like all other bioprinting organizations, Cyfuse hopes that their technology will eventually lead to the printing and regeneration of entire, functional human organs. 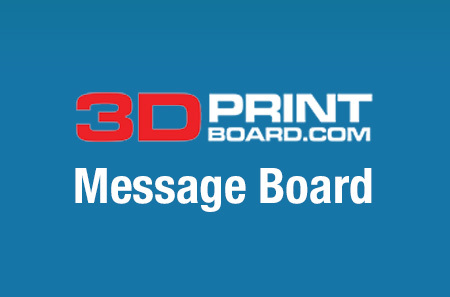 Discuss this latest news in the Cyfuse 3D Bioprinter forum over at 3DPB.com.